Idle Breaks provides cycling training camps in Málaga, with the chance to ride in a region renowned for great roads and great weather. Robert Frost once wrote about taking the road less travelled. While it’s true that the number of vacationing racers is smaller than those getting on a plane to enjoy their vacation sans running gels (although that number is growing), the road that begins with a start line and ends with a photo finish may turn out to be your most memorable vacation ever. Travelling for races is an incredible way to see a new city, gain a unique view of the culture, and appreciate the terrain. If your first marathon is potentially your last, then you may as well make it a worth-while trip. Go big or go home! That’s what my mother, a Grand Manan native who grew up on an island smaller in length than the distance of a full marathon, said when she successfully completed her first marathon in New York City. You may think that a road race in Berlin or a triathlon in Hawaii sells itself, but no matter where you are headed, you will always need to train for the big event. So what about travelling to train instead? Race at home, but do all the dirty work in someone else’s back yard? In Nova Scotia, the stage where most of my competitions are set, our race season is pretty short. Our coastal winters are not exactly bike-friendly and running can be dangerous when the streets and paths we’re used to training on are covered in ice. Triathletes are restless creatures. That’s why, when everyone else was booking flights to all-inclusive resorts, we decided we’d pack our water bottles and bike helmets and find a destination that allowed us not only a break from winter but also a chance to get back in action. Idle Breaks is a cyclist’s dream destination. Catering specifically to triathletes, it’s the holiday training retreat to take your performance to the next level. Nestled high in the mountains of Málaga, the Idle Breaks retreat was the perfect base for our training plan. After all, summer athletes are made in the winter. The retreat is owned by Andy Idle, a recreational triathlete and multi-time Ironman finisher with an impressive race repertoire and background in cycling. His retreat, or “camp” as he calls it, caters to sports groups for most of the year—never more than 12 at once—and offers amazing cycling routes, a lane pool, open water swimming, a gym, hot and cold recovery tubs (great for tired muscles) and miles of running trails. Thousands of miles away from our competitors still experiencing winter in Nova Scotia, we felt like we held the key to a successful race season thanks to this resort—our not-so-secret training weapon. Training in Spain provided us with the opportunity to ride in the Málaga region that is renowned throughout the cycling world for the excellence of its roads, challenging mountains, great weather and beautiful scenery. We passed the week training, recovering, eating and sleeping. The three-lane, 25 metre heated pool was right outside our door—convenient if we wanted to get in a few laps before or after our ride. Open water swimming was only a short drive away at the majestic (but chilly) Lake Iznajar. Andy even dropped buoys to mark out a swim course for us although I’ll admit I only made it one round (less than 500 metres) before I decided that it was too cold for me, even with a wetsuit on. 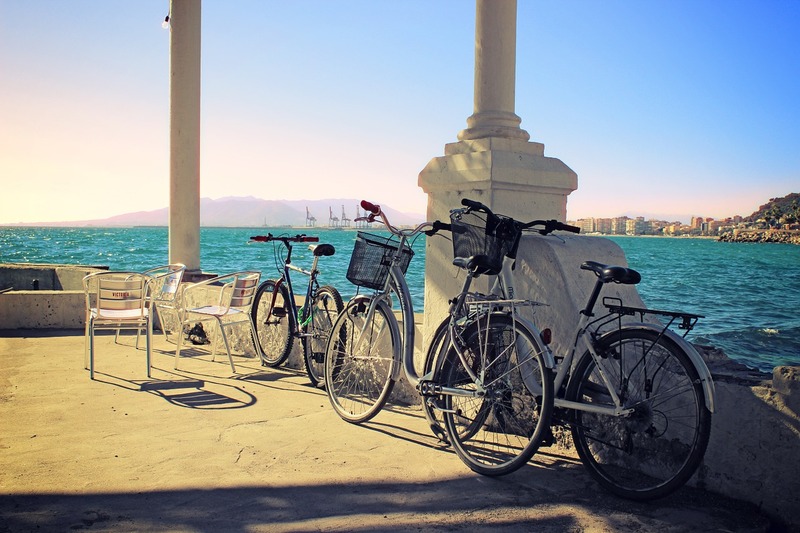 Cycling in Málaga is as good as it gets, with quiet, smooth local roads. Our rides varied from 80 km to 120 km each day, appealing to our hunger for Ironman distances and long hours spent on a bike. And there was no shortage of hills. The Tour of Spain and Tour of Andalucia pass through Málaga every year. In 2010, the Vuelta included the famous Fuente de la Reina—a gruelling 16 kilometre mountain—as one of its testing climbs. We were training on the same roads and inclines as the pros—albeit, not nearly as fast. On our third day, our climbing skills were put to the test with a 7 km time trial ride up Puerto del Sol, a climb devoted to steep inclines and switchbacks, not to mention rogue goats who have been known to wander down from their farmyards and wreak havoc with your bike handling skills. The yellow jersey of climbs, however, is Sierra Nevada; a 32 km stretch that ends in the snow capped peaks of Málaga and, to my ears, has only ever been described as “brutal.” The entire excursion takes a day to complete. Sadly, road conditions were not great while we were there and I would not be peaking Sierra Nevada that trip. There are plenty of running trails, most of them off road, near the resort. I rarely found the will or the energy to run five metres, let alone five kilometres or more, after those long days spent on a bike, but the option to run was always there. The winding trails of dry, dirt road were beautiful and inviting and, as I discovered, visible from the camp’s hot tub. While we opted for a more challenging itinerary, one that would prepare us for months of long-distance racing back home, the days at Idle Breaks are designed for all levels of ability. The area has a wide variety of routes that can mix and match to provide an itinerary to suit everyone. It ensured we got to enjoy the best riding the area has to offer. I strongly recommend stepping outside your comfort zone and training in a new city, town or country. The experience is incredible, the scenery can be breathtaking and the memories will be unforgettable! And I can guarantee you; it will make all the difference.